To learn more or order click here. June 15 was the feast day of the Sacred Heart of Jesus. We are featuring a quote from Father James Kubicki, S.J – National Director of the Apostleship of Prayer. “St. 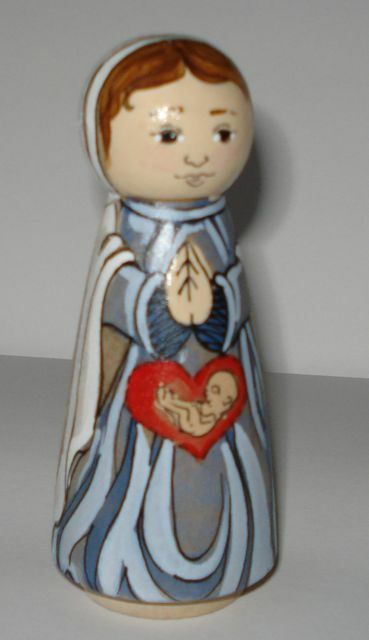 Augustine and other Fathers of the Church liked to say that Mary first received the Word into her Immaculate Heart and then conceived the Word in her womb. In this new person were joined two natures – human and divine. The loving union of God with humanity had begun in a new and wonderful way, making possible every person’s union with God. He took flesh so that he could give his flesh to save humanity and to unite his flesh with ours. The Second Vatican Council’s Constitution on the Church (Lumen Gentium) states, “By his incarnation, he, the Son of God, has in a certain way united himself with each man” (LG, 22). Father James Kubicki, S.J. 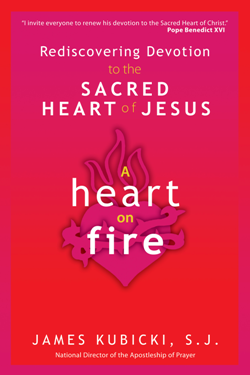 has a wonderful new book entitled A Heart on Fire – Rediscovering Devotion to the Sacred Heart of Jesus. Father Kubicki is an extraordinary priest who is a frequent guest on Catholic radio and television – he is also a popular conference speaker, parish mission speaker and retreat director. Father Kubicki has been a great friend to our apostolate too – giving us support and encouragement. A Heart on Fire is a book which will help rekindle devotion to the Sacred Heart – arguably the most important devotion for all Christians. Father Kubicki makes the Sacred Heart devotion understandable to the modern mind without downplaying its traditional beauty and power. This is an important book because understanding the love of Christ and its central role in our faith is what each Christian is truly striving to achieve. We highly recommend this book.